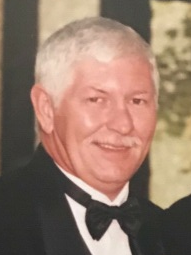 Donald J. Maurer, 71, Ideal, passed away August 20, 2018 at his home. Born September 27, 1946 in Johnstown, son of Lawrence and Margaretta (Hill) Maurer. Preceded in death by parents; son, Michael D.; brothers, Robert and Thomas; grandparents, Arthur C., Martha Hill and George Maurer. Survived by children, Christopher married to Amy (Barber), Daniel married to Heidi (Huber), Alanna married to Chad Scott; grandchildren, Alexis and C.J. Maurer, Karley and Morgan Maurer, Mattison Evans, Gavin and Ella Scott; siblings, Shirley Ream, Richard and Sandra Maurer; niece, Kimberly Petrarca and nephew, J.T. Ream. He was a graduate of Conemaugh Township High School. Former employee of Bethlehem Steel Corporation and G.E. Simpson plastering. Captain in the National Guard 103rd Armor, 28th Infantry Division. Ideal volunteer fireman. Don was skilled in many trades. He will be deeply missed. Friends will be received Thursday 3-7 pm at John Henderson Company Funeral Home, where a funeral service will be held Friday at 10:00 am, Rev. Len Findley. Interment Grandview Cemetery.